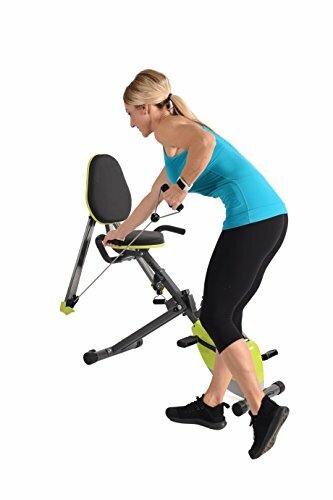 Double the Workout, Double the Fun Designed for convenience, portability and versatility, the Stamina Wonder Exercise Bike packs a workout that’s good for the whole body. Engage your core and legs with the bike. When you’re ready, take it to the next level with the included Wonder Arms. The Wonder Arms help you strengthen and tone your arms, shoulders, chest, and back. Exercises like chest press, curls, flies, and many more are possible with the smooth bungee cord and pulley system. Easily adjust between exercises by pulling the adjustment knob. The arms will automatically adjust to the same position on each side. The soft, padded grips are comfortable on your hands. 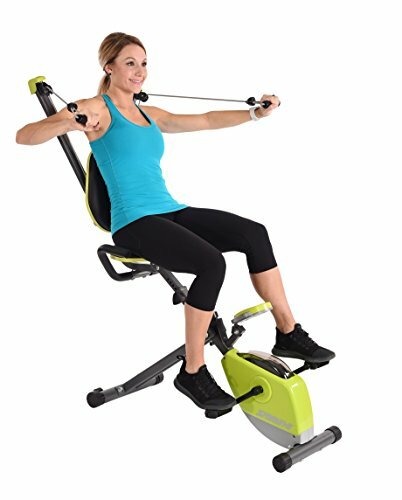 Wonder Arms make for a convenient and comfortable upper body workout you can do on your exercise bike. Also included with this product is free online access to 2 on-demand workout videos. These workouts are guided by a certified personal trainer to help motivate and coach you towards your goals in the comfort of your own home. 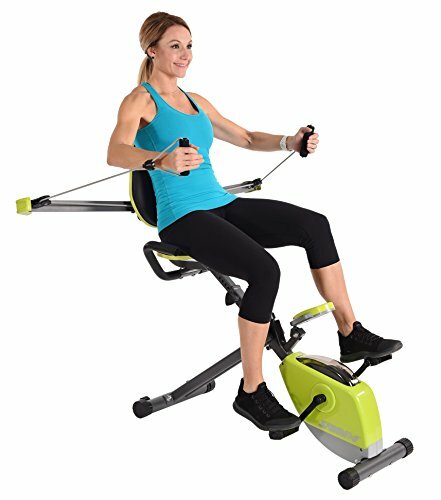 A Motivating Mentor The Stamina Wonder Exercise Bike tracks your results, so you can focus on the important part: getting things done. The simple, single-button multi-function monitor tracks metrics such as workout time, calories burned, speed and distance traveled. Scan mode will cycle through these during your workout. When you’re ready to increase the difficulty of the pedaling motion, the handy adjustable resistance dial lets you do it in a snap. Change the angle of your resistance workout with the adjustable Wonder Arms for a larger variety of upper-body exercises. 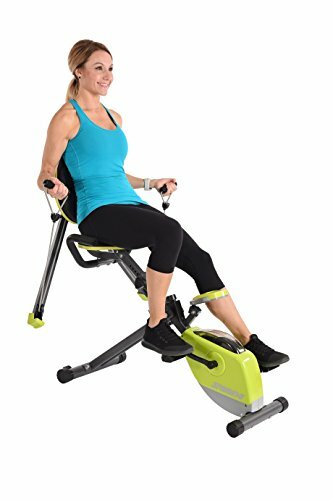 Tailored to Your Needs Enjoy the comfort and adaptability of the Stamina Wonder Exercise Bike, designed for people of all shapes and sizes. 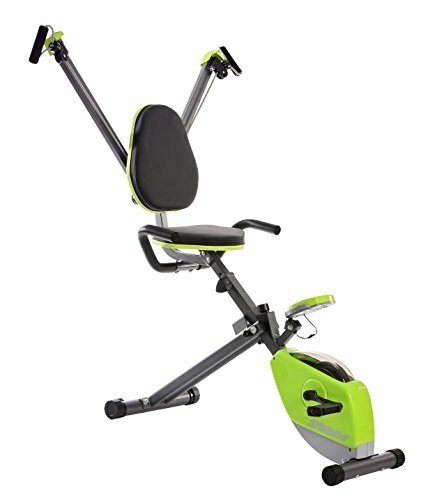 A wide, cushioned seat, backrest and padded handlebars means less discomfort in the middle of your workout. The textured pedals and floor endcaps give you and your new bike added stability. Plus, the seat height is adjustable. When you’re done with your workout, use the built-in wheels for easy transport to the nearest storage area. It’s convenient. It’s fun. It’s affordable. 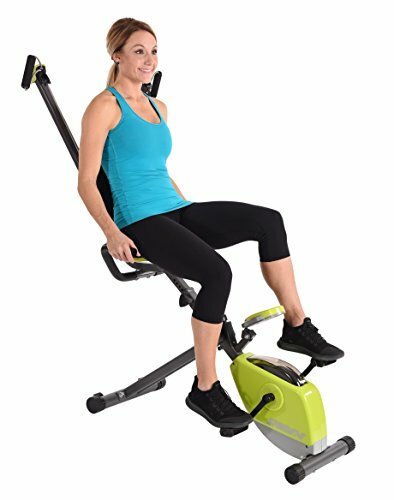 If you want to take your biking to the next level with an added resistance workout, look no further than the Stamina Wonder Exercise Bike.